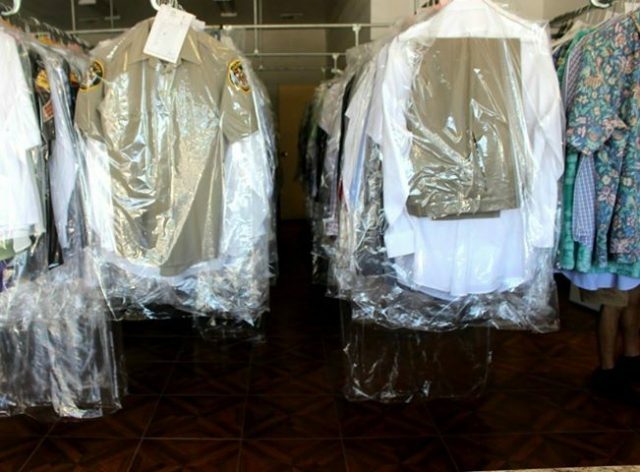 ST. GEORGE — Ever since Ralph Lee Sr. was brutally beaten during a robbery at his dry cleaning business in the early morning hours of July 4, his family has been committed to doing whatever it takes to make sure the person responsible for the crime is identified and arrested. On July 4, sometime before 4 a.m., 68-year-old Ralph Lee Sr. went to work early, and within 30 minutes he was in an ambulance with extensive blunt force trauma injuries to his head. He remains hospitalized Saturday. Ralph Lee Sr.’s family is offering a reward for information leading to the identification and arrest of the man responsible for the attack. The amount of the reward has not been disclosed. The reward offer stems from an incident where an unknown suspect entered Lee Cleaners on 700 South and, after beating the owner, began rummaging through the business in search of money and property. The suspect then ransacked Ralph Lee Sr.’s pickup truck that was parked beside the building before taking items and fleeing the scene. After regaining consciousness, Ralph Lee Sr. crawled nearly 30 feet to the front of the shop, where he called 911 from the telephone on the counter. Police were dispatched and arrived at the scene less than three minutes after the call, St. George Police public information officer Lona Trombley told St. George News July 4. Detectives were also called in to process the scene. A video was taken after family members arrived at the scene which showed the interior of the shop where the attack occurred. The footage captured evidence left in the wake of a brutal attack, but also showed signs of the valiant efforts of Ralph Lee Sr., whose “only crime was going into work that day,” his son, Ralph Lee Jr. told St. George News Friday evening. Drag marks on the tile floor revealed the path that Lee took as he crawled to get to the phone, Ralph Lee Jr. said. Another of Ralph Lee Sr.’s sons, Richard Lee, said the fact that the suspect was going through Lee’s pockets while he was lying on the floor unconscious, is one of the more troubling details of the incident, from the family’s perspective. “The guy was going through his pockets, and my dad regained consciousness with that happening to him – it’s sickening,” Richard Lee said. Ralph Lee Sr.’s adult children spent the morning of July 4 cleaning the shop in the aftermath of the attack, which was “heartbreaking to see what had gone on here between the suspect our dad, who weighs 135 pounds soaking wet,” Richard Lee said. The suspect was described by police as a white male between 5 feet 10 inches and 6 feet tall with a medium build and wearing a blue bandanna, as reported July 4 when Trombley requested the public’s help to identify the suspect. Ralph Lee Jr. said he wanted to thank the community for the outpouring of support on behalf of the Lee family, who said they are all touched by the kindness they have witnessed since the incident took place. “We have been so blessed to have the love and support from this community. It’s been amazing,” he said. Anyone with additional information or who may have been in the area at the time the incident occurred or who may have surveillance footage from the area near the business is being asked to contact St. George Police Department at 435-627-4300.